Discover yourself in Parksville, BC, where hospitality comes with an ocean view at the Quality Resort Bayside Hotel. 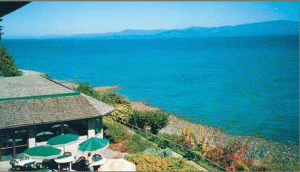 This Parksville resort hotel offers beachfront accommodation, ocean views and great food all in one great location. Sleep in. Beach comb. Golf. Keep fit in the cardio room, heated pool or racquet courts. Hold Hands. Enjoy casual gourmet dining overlooking the bay. Youre sure to have an unforgettable experience while staying at the Quality Bayside Resort in Parksville. At the Quality Resort Bayside Hotel, you can make your perfect Parksville gateway. We offer great getaway packages or create one of your own. There is always a lot to do. Or you can do nothing at all and relax. Please visit Quality Resort Bayside Website.